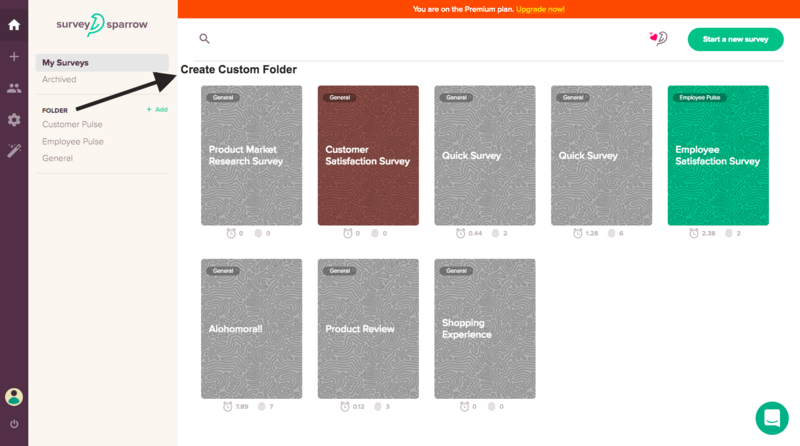 Custom folders help you organize your surveys into various categories for easy sorting. For instance, you can create different set of surveys for various departments in your organization like Marketing, Sales and so on under various folders for easy access and segregation. 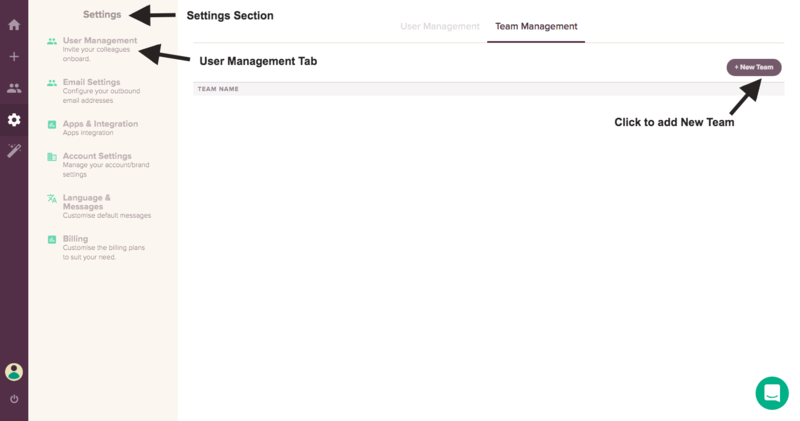 The team management feature helps you group and organize users. 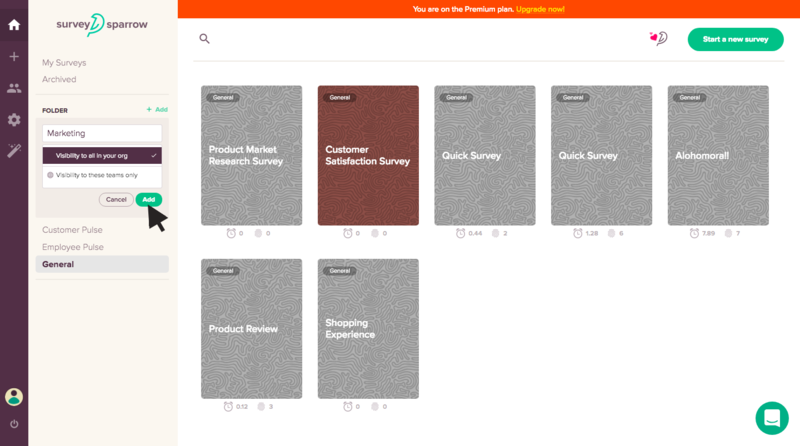 To control the visibility of surveys within a folder, you can create teams and add members to it. In this manner, a particular folder will be visible to only the Marketing team while another is visible only to Engineering team. In your account Home page, find the Folders section. 2. Click Add to create a new folder. You can choose who must view this survey- a specific audience or everyone in your organization. 3. To make the survey visible to only specific people, create a team. Under Settings, click on the User Management section. Find the Team Management tab and click to add a new team. 4. 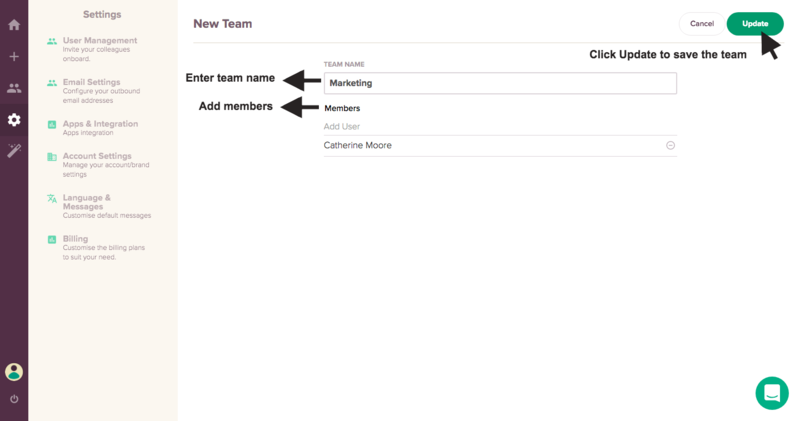 Add users to the team and make your survey visible only to the members. Click to update the team.